Pacific Fleet's small anti-submarine ship MPK-64 Metel takes part in the Russian Navy Day parade in Vladivostok. Tokyo has asked Moscow for a clarification. Three Russian vessels sailed in a contiguous zone near the disputed Senkaku Islands, Japan’s Foreign Ministry said on June 9. 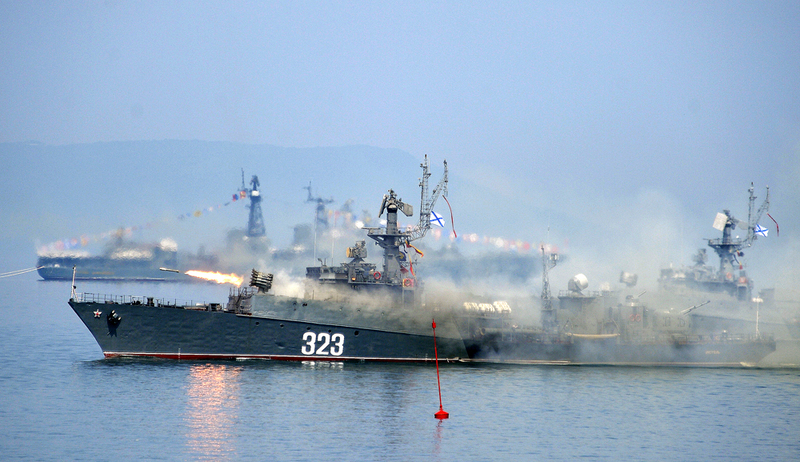 The Russian vessels were spotted around the same time a Chinese vessel entered the zone, the Kyodo news agency reported. “We have brought the matter to the attention of the Russian authorities through diplomatic channels,” Yoshihide Suga, a Japanese government spokesman, said, according to RIA Novosti. The Japan-controlled Senkaku Islands are claimed by China and Taiwan. China purchased a major part of the islands, which it calls Diaoyu, from a Japanese individual and put them under state control in 2012.